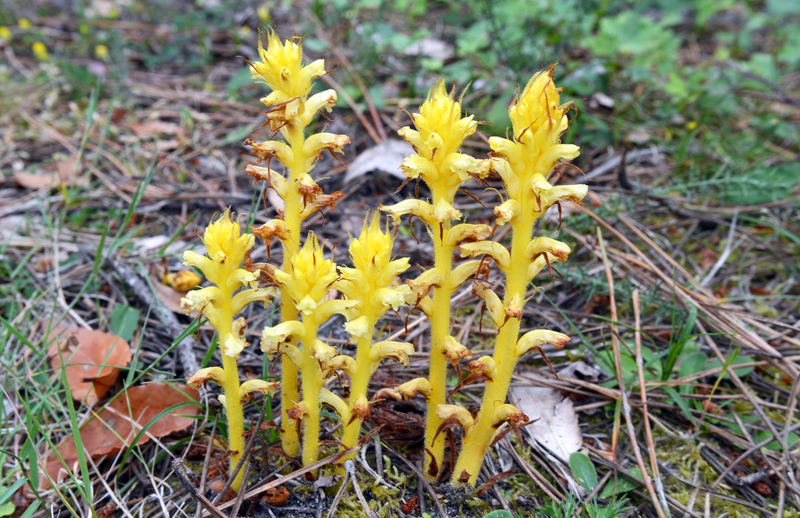 Broomrapes, or broom-rapes, are parasitic plants which grow on the roots of other plants, such as ivy, vetch or clover. They are native to temperate regions in the northern hemisphere and the family (Orobanchaceae) contains a single genus with more than 200 species. 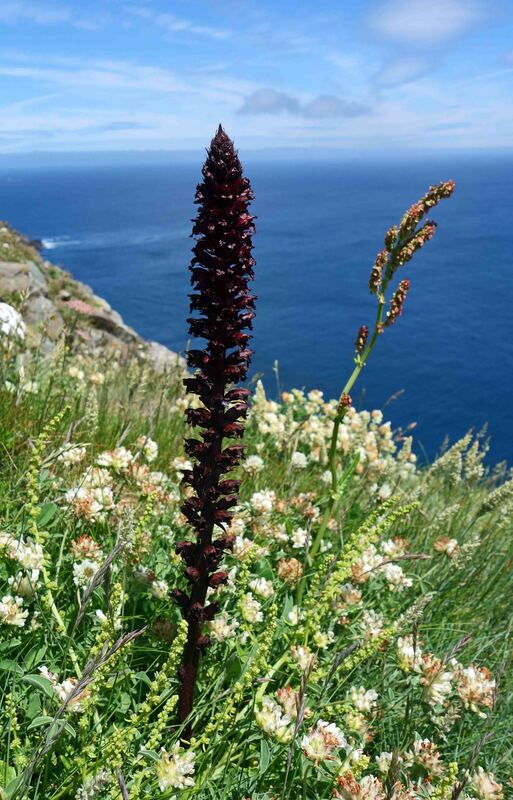 I regularly see two species when I visit northern Spain, Ivy Broomrape (Orobanche hederae) and Red broomrape (Orobanche foetida). 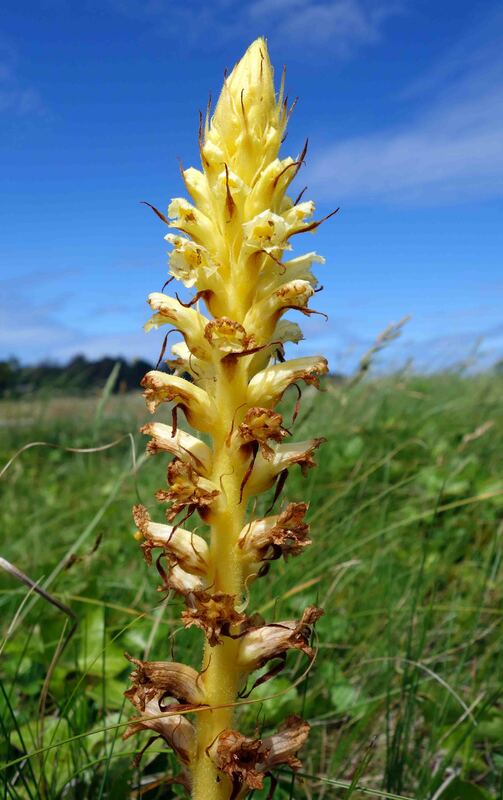 The yellow form of Ivy Broomrape is rarer is some parts of it’s range but is only type I see in northern Spain. Orobanche foetida is widely distributed in the Western Mediterranean area where it is a parasite on wild plants (as show above in a patch of clover) but has also become a weed of legume crops in North Africa. I see it when I visit Cabo Ortegal in Galicia, northern Spain, a spot which is rich in wild flowers (below), and certainly not Mediterranean! 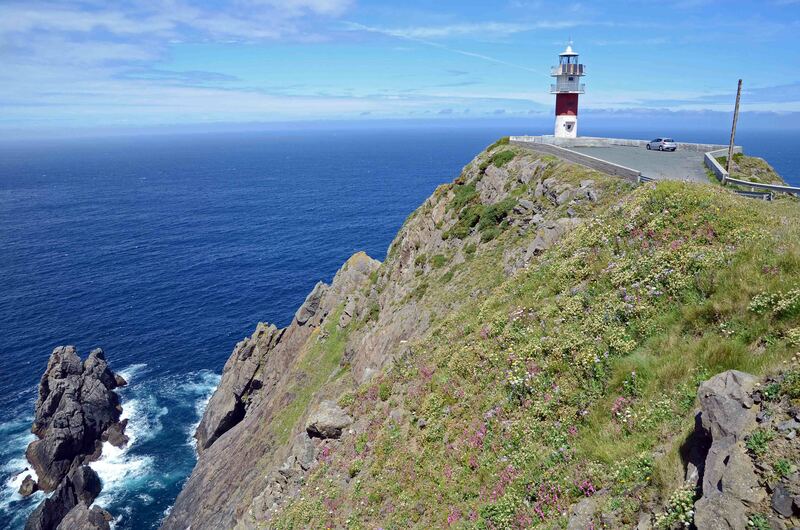 Cabo or Cape Ortegal, Galicia, with wild flowers in June. I’m always interested to see these peculiar plants, and your photos are terrific – although these species are ones I haven’t seen where I am in the Midi. Here it’s mostly O. amythystea (on Eryngium) and O. gracilis (on clover etc. There’s a complex story behind these plants about chemical messengers which enable thier seeds to germinate when the host plant roots are nearby: plants communicating, whatever next!